Television Production Services in Africa ! Find volunteer work in Africa which is affordable and sustainable. "Manufacturers Meet Africa" will be the hub for all aspects of constructions & building materials in Africa & unique opportunity to gain unprecedented access to the biggest projects in the market. Rustenburg is one of the best place in South Africa where you can find anything you want from business to leisure. Rusties will provide what you want at the comfort of your own. Affordable coworking community and workspace for entrepreneurs and SMEs in Lagos. Hub space, shared space, office space, coworking space in Nigeria. MrDuka is an online to offline shopping platform in Nairobi, Kenya, allowing shoppers to browse products from physical shops and stores. 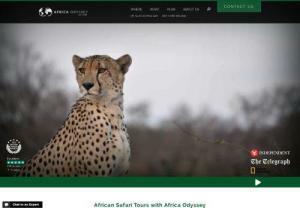 Shoor Safaris is a reputed tour operator offering premium African Safaris in Kenya at affordable rates. Grow Africa aims to increase private investment in agricultural sector, while accelerating the execution and impact of investment commitments. Our goal is to enable countries to realize the potential of the agriculture sector for economic growth and job creation, particularly among farmers, women and youth. Inviting his readers to imbibe into the typical African art and culture is what Mr. Tanure Ojaide has set as the mission of his life. This prolific author, poet and creative genius is the most distinguished name across the world of sub-Saharan literature. The Aleit Group remains at the forefront of the weddings and events industry in South Africa; the brand has evolved and diversified into a global firm with an extensive offering. The Aleit group dominates the catering, bar & staffing, design, media, décor, venue management and entertainment arenas. Looking for Business Expansion into Africa? Global Partner Solutions Ltd. Will help you set up your business. We can arrange business trips for you to your selected locations and introduce you to potential business partners. You can also count on us to recruit and retain the best talent for your business expansion once you have set up. South Africa\'s Premium Online Shopping Directory. Showcasing the best online shops in South Africa, in multiple categories. The Pole Yard is a South African based company that sells a full range of poles, gum lathes, jungle gyms, decking & fencing also offers a selection of garden furniture & outdoor products. Manufacturer and supplier of baths and spas in South Africa. Summer Place stock shower doors and all round bath tubs with round edges. Get the right bath tubs. Norton-Lambrianos Attorneys is one of the leading debt collection companies in South Africa, specialising in the recovery of commercial claims and consumer debt. Afton Grove is a TGCSA 4 star Country House & Cape Town Guest House and have been included 5 times as a finalist in the AA Awards. Afton offers accommodation in Noordhoek, Cape Town, South Africa. Afton recently also established themselves as a luxury Noordhoek Hotel. We compare prices of all hotels in Johannesburg, South Africa from over 30 different hotel providers in order to give you access to the lowest price possible, guaranteed. We compare prices of all hotels in Durban, South Africa from over 30 different hotel providers in order to give you access to the lowest price possible, guaranteed. The Intercambios programmes that are offered by Grupo Viva y Aprenda are among the most popular at the moment. The intercambios programmes are offered in a series of countries as Canada, USA, Australia, Nueva Zelanda, Inglaterra, Sudafrica and Malta. The \"plus\" in common history means it has always been 100% pure Towards the south African Hoodia of one\'s Kalahari Desert and so certified as varieties of. It is recognized by be effective in clearing the skin tissue and now could also used to burn fat.